Sri Venkateshwara College of Engineering (SVCE) was established in the year 2001 by Sri Venkateshwara Education Society with the objective of producing high quality Engineers and Technocrats. The Department of Computer Science and Engineering at Sri Venkateshwara College of Engineering, organizing a 4th National Conference on Recent Advances in Science, Engineering & Technology (NCRASET-16) on 6th May 2016 in our college premises. The main aim of the conference (NCRASET-16) is to bring out and share the latest research contributions in the field of Science, Engineering and Technology and to gain exposure to the current demands and opportunities. The conference is open to all UG & PG students, Academicians and Research Scholars working in a broad area of recent advances in Science, Engineering and Technology. 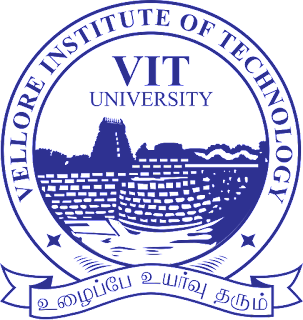 The papers will be published either in Conference Proceedings or International Journal of Information Technology and Computer engineering (IJITC) depending on the quality of the papers. It could be our privilege to have the presence and participation of your faculty members, research scholars and UG & PG students for the conference. Hence I request you to give wide publicity among your staff, research scholars and students, and kindly encourage them to participate in the National Conference. will be held in the green city of India - Bengaluru from 20th and 21st May 2016. Electrical, Computer Science, Information Science Engineering. kindly forward it to your friends and colleagues. “One-Day Workshop on Preparation for Excellent Research” on 19thApril 2016. We, the Department of Computer Science & Engineering of Sri Venkateshwara College of Engineering, organizing a “One-Day Workshop on Preparation for Excellent Research” on 19th APRIL 2016, in our college premises. The resource person is Dr. Ashok Rao, Former Head, Network Project, CEDT, IISc, Bangalore) has about 30 years of Experience in Teaching, Research, Managing Projects, Consultancy in diverse fields. Currently he is advisor to Kerala Govt. for Research in Technical Education from 2013. The main objectives of the workshop are aimed at Understanding Excellent Research and what constitutes Excellent Research, What drives this and How to achieve Excellence. It means Understanding in Perceptive way: Who are Researchers, What is actually Research and what is this Art of Researching. Also the related Idea of Excellence cannot be missed out. However the challenge is what Constitutes Excellence? Conventional ways would focus on Journal Articles (in NATURE say) or Patents and Products which most are familiar and striving for. However the Unconventional way of Understanding Excellence is also needed. It could be our privilege to have the presence and participation of your faculty members, research scholars and PG students at the workshop. Hence I request you to give wide publicity among your staff, research scholars and students, and kindly encourage them to participate in the workshop. 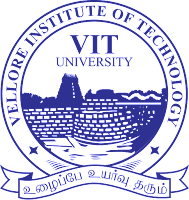 VIT University is a progressive educational institution that is dedicated to the pursuit of excellence. Students are encouraged on this journey by our committed faculty, world class facilities and student friendly educational systems. Wind power is the world’s fastest growing energy source. Its fuel free and zero emission aspects make it a popular source of electricity generation. Once built, wind turbines can operate at an almost zero cost. But because of specific character of wind, being a variable and relatively unpredictable energy source, the integration of wind power into a system brings additional challenges for the operation and development of the system. The typical problems are – power fluctuations due to uncertainty of wind, variations of magnitude and directions of wind velocities and structural instability due to heavy gusts and cyclonic storms. The aim of the workshop is to cover the recent developments and trends introduced and/or adopted in Wind Energy Field. This also aims to address the gaps in the research and development in India with respect to rest of the world. It suggests the options to integrate wind farms with power grid, power smoothing techniques with various energy storage, offshore and onshore technology comparison, pilot projects in offshore wind farm, mitigating power quality and related issues during grid integration and possibilities of adopting smart grid technologies. 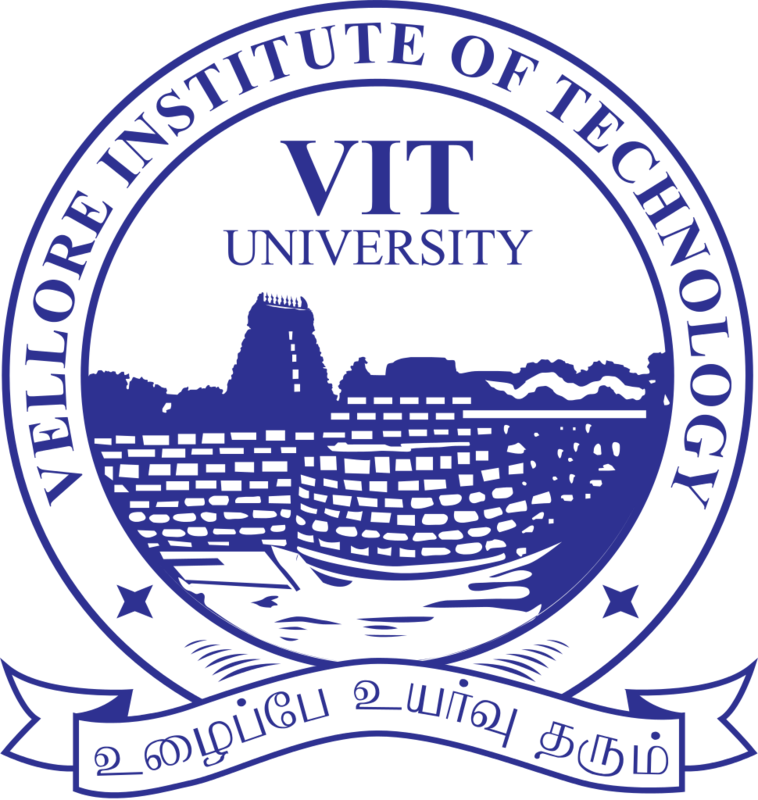 Registration fee will be accepted by Demand Draft only drawn in favour of "VIT University" payable at Vellore along with the completed application form. Accommodation will be provided in VIT hostels on payment basis. Certificate will be given to all registered participants. This workshop intends to provide an opportunity for the delegates to understand the MATLAB coding and implementation of various engineering concepts using MATLAB & Simulink. Registration charges include Course Material, Lunch & Snacks. The number of participants is limited to 30 based on first come first serve. Timings 4.45 p.m. - 8.45 p.m.
Timings 9.00 a.m. - 1.00 p.m. & 2.00 p.m. - 6.00 p.m.
RCC, Anna University, Chennai 600 025"
This training focuses on providing the best knowledge to students about various issues related to Cyber Security and Information Security by giving them live demonstrations of various forms of Cyber Attacks. You will learn Ethical Hacking(Penetration testing, White Hat Hacking, Web Portal hacking. White Hat Hacking has several names like web hacking, ethical hacking, penetration testing, web/network auditing. This is a introduction course, we have total 3 level of white hat hacking course. Ethical Hacking/Pentesting is a demand of present era where most of our important tasks include cyber world. Everyone should learn ethical hacking. It is a process in which you learn to find and fix loop holes in an application, software, network, webportal, mobile apps. Company can take steps to secure their product or Network. Rs.2000 per delegate from industry. Rs.1000 per delegate from institute (Faculty). Payment through DD drawn in favor of “LansA Informatics Pvt Ltd”, Payable at Coimbatore. Send DD to the following address before 30.07.2015 to confirm your registration. International Conference on Trends in Technology and Engineering – ICTTE’15 is organized by in association with Arjun College of Technology and International Journal for Trends in Engineering & Technology (IJTET). The aim of the conference is to carry together professionals and researchers from academic to industry to achieve their utilization in the areas and to encourage their development with genuine technology methods. The conference theme concentrates to discover the latest technological innovation, trends in technology and engineering and that are experienced by the professionals with the present strict rules and to convert these complications into prospects. Authors are approved to post original research or system documents on any appropriate topics. These can either be frequent or brief documents. ARJUN EDUCATIONAL TRUST is a Trust which comprises of Trustees with a composition of Industrialists, Entrepreneurs and an Academician established in the year 2010. ARJUN is born with tendencies towards the divine and pure in heart. He is charitable & controls his passions. He renounces the things of this world and compassionate towards all. He is gentle and modest. He has faith in the strength of his higher nature. He can forgive and endure. He is clean in thought and ACT. He is free from hatred and from pride. Such qualities are his birthright. INTERNATIONAL JOURNAL FOR TRENDS IN ENGINEERING & TECHNOLOGY (IJTET) Demands unique, unregistered research documents in engineering & Technological innovation. All the research papers are evaluated by our Evaluation panel and the paper are selected by the panel associates using strict evaluation process. All arrangements moving evaluation level will be released online once author completes the registration process. Papers must be prepared in English, may as well have sound language use and suitable terms. 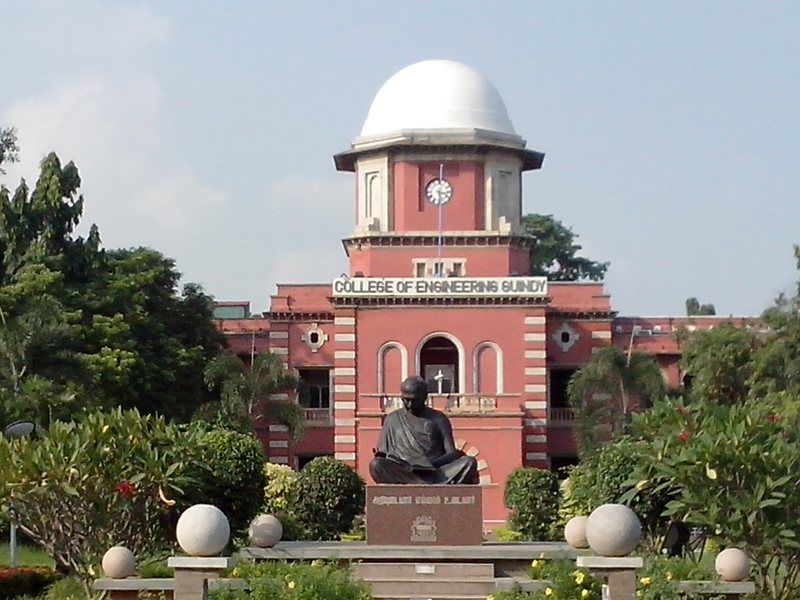 Coimbatore - 642 120, Tamil Nadu. On behalf of the organizing committee, it gives us great pleasure to invite you to the National Conference on Innovations in Science, Engineering & Technology on 27th & 28th March, 2015. The ISET 2015 conference aims to bring together researchers, academicians, scholars and experts from various background and application areas in Science, Engineering & Technology. This conference will emphasis on promoting a high level of interaction between the theoretical, experimental and applied communities, so as to achieve exchange of ideas in new emerging areas of Science, Engineering & Technology. The conference will serve as a platform to cover the advanced aspects and approaches of Engineering and Basic Science in real world. to achieve excellence as an academic institution. The main pillars of Podhigai are Rtn.B.Ganeshmul, Chairman, Rtn.V.Selvam, Secretary and Rtn.K.C.Ezhilarasan, Treasurer. They are the backbone of the college. The Principal, Dr.P.Lawrence felicitates the good governance of the college. Authors are invited to submit original and unpublished research articles for presentation in related to innovations in Science, Engineering & Technology. Selected Papers will be published in Journal of Advanced Engineering Research, ISSN: 2393-8447 (www.jaeronline.com). Times New Roman, 12 point font size and 1.5 spacing. Abstract should include Title of the paper, Name(s) of author(s), affiliation and Email. Abstract should not exceed 300 words. All the payments should be made in the form of DD in favour of “ The Principal, Podhigai College of Engineering & Technology ”, payable at Tirupattur. Interested candidate may send you paper to above mail address before 10th February 2015 and send the registration for along with the DD to following Postal address before 20th February after acceptance. Vellore Dist, Tamil Nadu, India. The payment should be made by DD drawn in favour of “Head, Department of CSE, Anna University, Tiruchirappalli” payable at Tiruchirappalli.